qualified from Birmingham University in 1990. He has gained extensive experience in general dental practice, attending many post-graduate courses and fostering a keen interest in endodontics. He has been a clinical assistant in the oral surgery department at the Birmingham Dental Hospital for the last ten years. 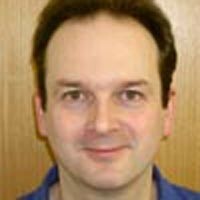 He is a Member of the Faculty of General Dental Practitioners and is currently a course tutor for the Midlands area and advises on the principles of Best Practice. I have just completed my first course of treatment at the practice,all I can say is wow.The standard of care and treatment was exceptional. I have tried a few dental practices and have finally found the one that I would actually look forward to visiting, I would have no problems recommending the surgery to anybody. I left feeling I have made some new friends. Well done to the whole team. This was my first visit to the practice and I was very impressed, will certainly recommend it to my friends. Treatment was good, prompt, and the staff were very friendly. See you all again in 6 months!